Climate change is one of the most important environmental, social and economic issues facing the world today. Some impacts such as increasing heat stress, more intense floods, droughts, and rising sea levels have now become inevitable. The impacts are most severe for the global poor, and South Asia is one of the regions affected by the changes. We must plan and adapt to minimize the negative impacts and enhance human and ecosystem welfare. Climate innovation and technologies involve basic science and engineering as well as information dissemination, capacity building, and community organizing. The conference will focus on approaches from the physical and social sciences to support economic development in mountain and lowland South Asia, which faces serious climate hazards along with food security, water and soil management and environmental justice challenges. This three-day international conference will bring together eminent scientists, policymakers, and development workers in both nonprofit and profit enterprises to discuss promising new approaches for integrating science, policy, and action. We will stress innovative applications of scientific and technical research to promote rural enterprise and broad-based improvements in health, nutrition, and living standards. 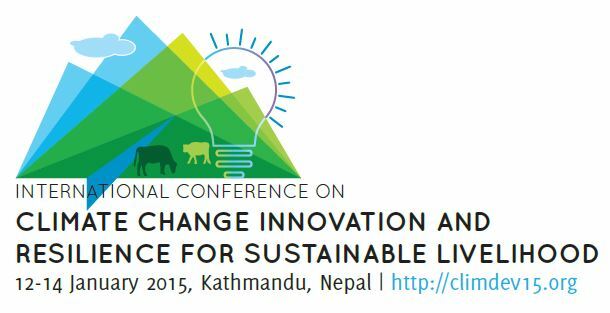 This conference will include opportunities for developing knowledge sharing hubs, regional working groups, action plans and pilot projects for regional climate change adaptation. What happens to soil in winter? Does everything die?